Outsourcing (or contracting out) is often defined as the delegation of non-core operations or jobs from internal production to an external entity (such as a subcontractor) that specializes in that operation. 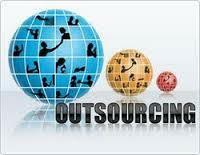 Outsourcing always involves a considerable degree of two-way information exchange, co-ordination, and trust. Finance & accounting outsourcing is mostly about direct cost savings, and offshore – offering a significant labour arbitrage opportunity – has become a fundamental component of the Finance & Accounting Outsourcing (FAO) model. This is the case across virtually all major geographic markets and industry segments. After call centres, F&A is the most offshored business process. Offshoring has become fundamental to FAO.